The Kurth Kiln was constructed by the Forests Commission of Victoria in 1941-42 to produce charcoal for use as a substitute fuel source. Petrol shortages during World War Two created a demand for charcoal suitable for gas producer units fitted to cars and trucks. It was the only commercially sized charcoal kiln in Victoria which could operate continuously. The kiln was in full production by mid-1942, but transport difficulties, structural problems and oversupply of charcoal by private operators meant the kiln was used only intermittently during 1943, and was shut down soon after. The design of the kiln was based on the work of Professor Ernest Kurth, Professor of Chemistry at the University of Tasmania. Professor Kurth had been investigating the pyrolysis of timber and kiln design since early 1940. His work resulted in the construction of a prototype continuously burning kiln in Tasmania in 1941. 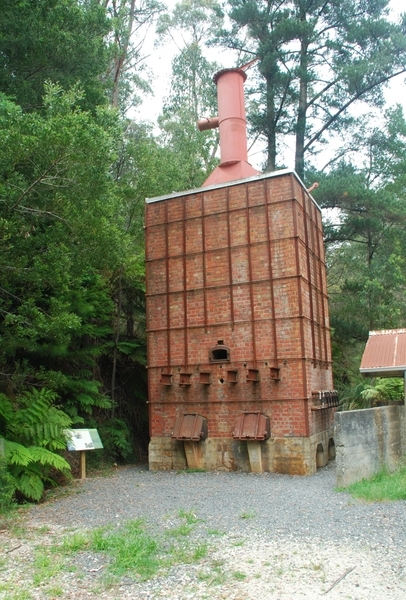 The Gembrook kiln was based on Kurth’s design, and was the only one of its kind ever built in Victoria. The kiln’s design facilitated continuous loading of timber at the top and recovery of charcoal at the bottom. An intricate water-cooling system separated the production and discharge chambers, and cooled the charcoal before removal. The Kurth Kiln is constructed of red brick, on a concrete foundation. The kiln is approximately 9 metres high by 3.1 metres by 4 metres. The brickwork is reinforced with steel strapping. It has iron doors over the openings, and an iron smoke stack. Alongside the kiln is a timber storage shed, erected in 1942. It has a corrugated galvanised iron roof supported by ‘tree trunk’ columns set into concrete foundations. The shed is approximately 25 metres long by 7.7 metres wide. The south end of the shed has an attached skillion, divided by internal walls. Between the skillion and the kiln is a small gable-roofed structure on round posts with low concrete walls. The Kurth Kiln is of historical and scientific significance to the State of Victoria. The Kurth Kiln is historically significant as an innovative response to a petrol shortage precipitated by the Second World War. The kiln produced a cheap, commercial and continuous supply of charcoal. The Kurth Kiln is scientifically significant as the only kiln of its type erected in Victoria. The process of charcoal production utilised by the kiln was a technical success, and the kiln has survived almost intact. Kurth Kiln, Launching Place Road, Gembrook, Cardina Shire Council. 1. 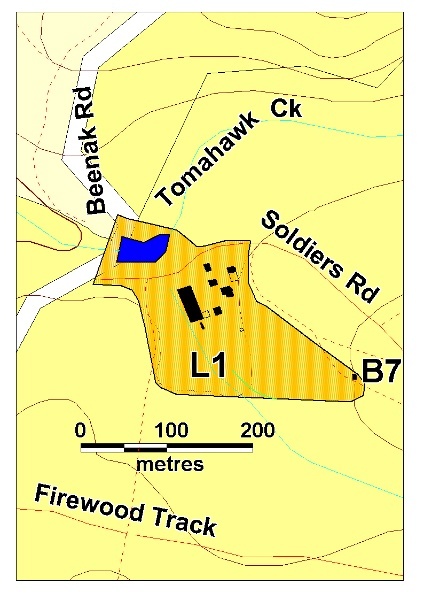 All of the Crown Land shown as L1 on Diagram 2012 held by the Executive Director. F1- Timber Flume and Water Wheel Footing. 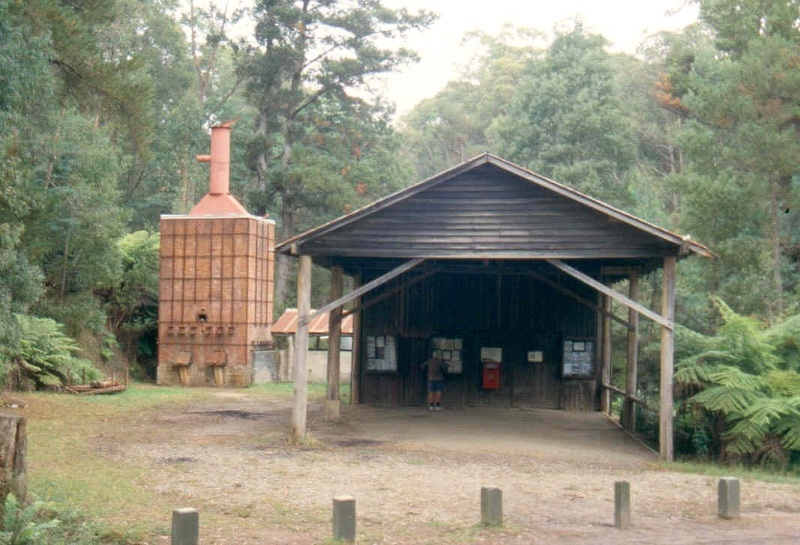 The Kurth Kiln, Gembrook, was constructed by the Forests Commission of Victoria in 1941-42 to produce charcoal for use as a substitute fuel source. Petrol shortages during World War Two created a demand for charcoal suitable for gas producer units fitted to cars and trucks. The design of the kiln was based on the work of Ernest Kurth, Professor of Chemistry at the University of Tasmania. Professor Kurth had been investigating the pyrolysis of timber and kiln design since 1940. Conventional kilns worked on a fixed cycle and could not produce charcoal continuously. His work resulted in the construction of a prototype continuously burning kiln in Tasmania in 1941. 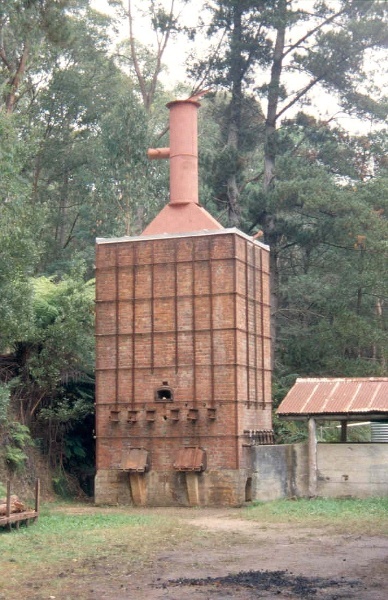 The Gembrook kiln was based on Kurth’s design, and was the only one of its kind ever built in Victoria. The kiln’s design facilitated continuous loading of timber at the top and recovery of charcoal at the bottom. An intricate water-cooling system separated the production and discharge chambers, and cooled the charcoal before removal. 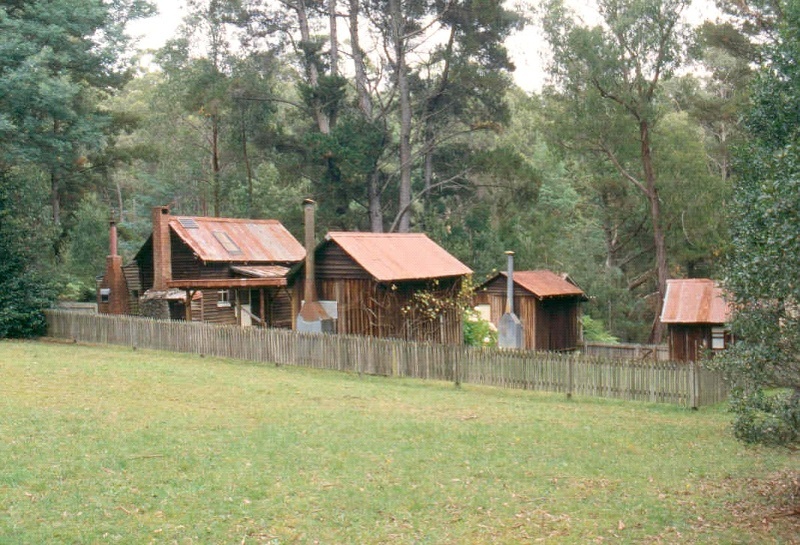 The Gembrook site for the Kurth Kiln was chosen for its ready access to wood and water, and because the sloping land was suited to working the top loaded kiln. It was the only commercially sized charcoal kiln in Victoria which could operate continuously. The kiln was in full production by mid-1942, but transport difficulties, structural problems and oversupply of charcoal by private operators meant the kiln was used only intermittently during 1943, and was shut down soon after. 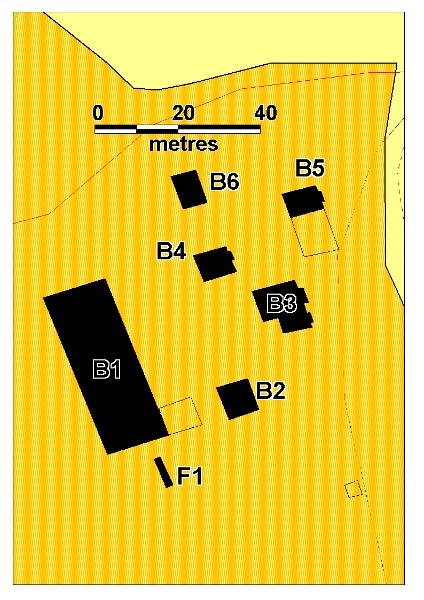 Between 1946 and 1963 the site was used as a forestry camp, with men living in huts purchased from the army. In the early 1980s the Forests Commission developed the site into a picnic area.